Orlando, Fla. (Sept. 14, 2018) – As Hurricane Florence continues to impact the eastern seaboard, many residents of North Carolina, South Carolina, and Virginia have evacuated to surrounding states to get away from the storm’s path. With so many families displaced by the storm, Floridians have opened their doors to those in need. 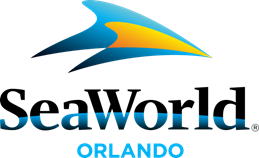 SeaWorld Orlando and Busch Gardens Tampa Bay are offering a respite for storm weary North Carolina, South Carolina, and Virginia residents: a buy one, get one single day ticket offer, available for purchase and use Friday, September 14 through Friday, September 21, 2018.